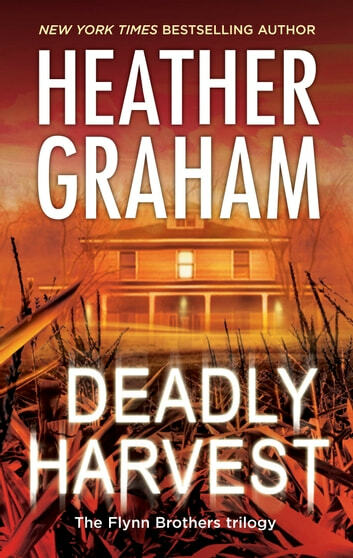 When a young woman is found dead in a field, dressed up as a scarecrow with a slashed grin and a broken neck, the residents of Salem, Massachusetts, begin to fear that the infamous Harvest Man is more than just a rumor. But out-of-town cop Jeremy Flynn doesn't have time for ghost stories. 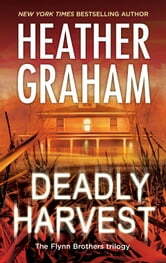 He's in town on another investigation, looking for a friend's wife, who mysteriously vanished in a cemetery. Complicating his efforts is local occult expert Rowenna Cavanaugh, who launches her own investigation, convinced that a horror from the past has crept into the present and is seducing women to their deaths. Jeremy uses logic and solid police work. Rowenna depends on intuition. But they both have the same goal: to stop the abductions and locate the missing women before Rowenna herself falls prey to the Harvest Man's dark seduction. Heather Graham got me again, this trio of the Finn brothers is so captivating you can't stop reading and want to see what happens next to the other brothers.